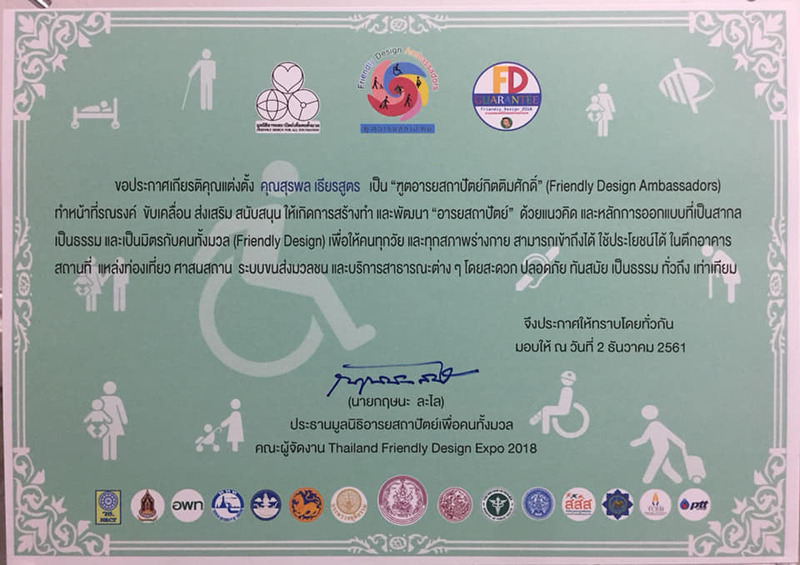 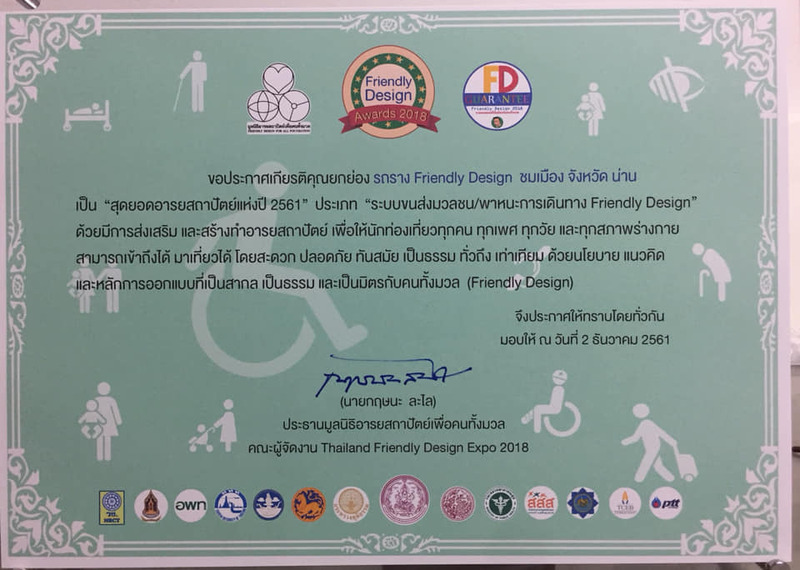 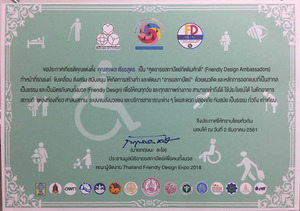 Mr.Surapol Teinsoot, mayor of Muang Nan Safe Community has been appointed the Friendly Design Ambassadors. 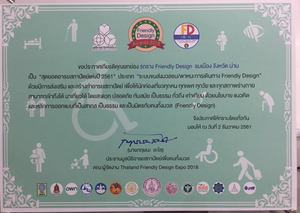 Also the trams are friendly design for visiting Muang Nan historic city. 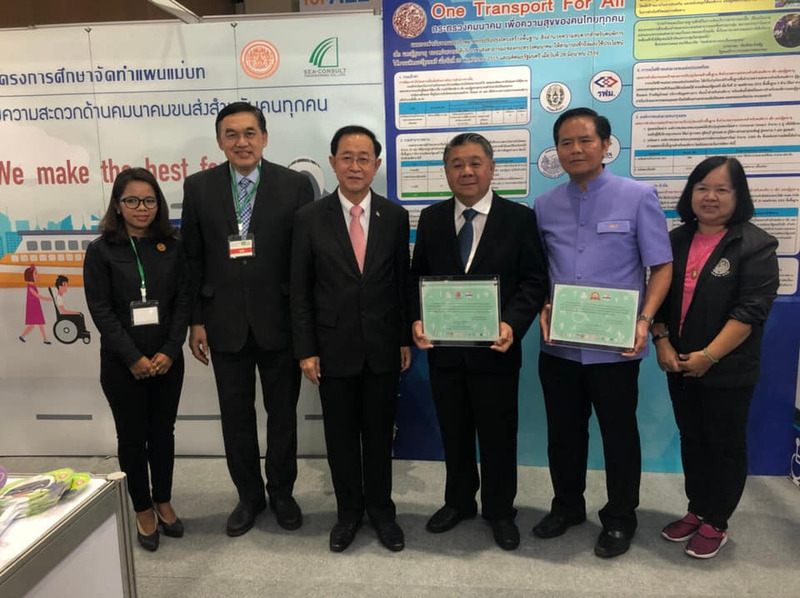 We are so proud Dr.Pongthep (Boy) from Nan Hospital as his leading on Safe Community Program. 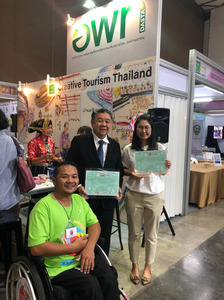 He also get an Outstanding Alumni Award from faculty of Medicine, Ramathibodi Hospital, Mahidol University.